The Omega™ 3000 CO2 integrated spray cleaning module easily integrates into a wide variety of cleaning processes. Connect up to four discrete nozzles to your selected automation system to provide precision cleaning of parts from every angle. Maximize efficiency and increase your throughput by implementing a waterless CO2 cleaning solution. 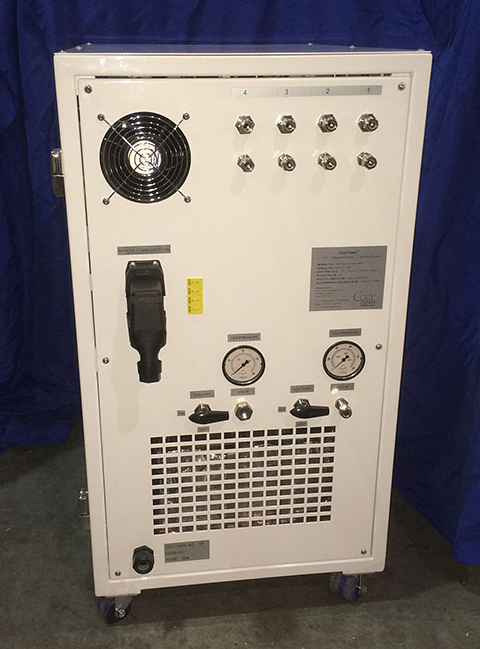 The Omega™ 3000 is capable of cleaning dust, debris, and light oils from plastic, metal or glass parts, while requiring a minimal footprint. The Omega™ 3000 filters and condenses CO2 from bulk tanks/dewars to provide the medium for cleaning. Products cleaned by the Omega™ 3000 don’t have to be handled and therefore remain in the production line, resulting in reduced human interaction. 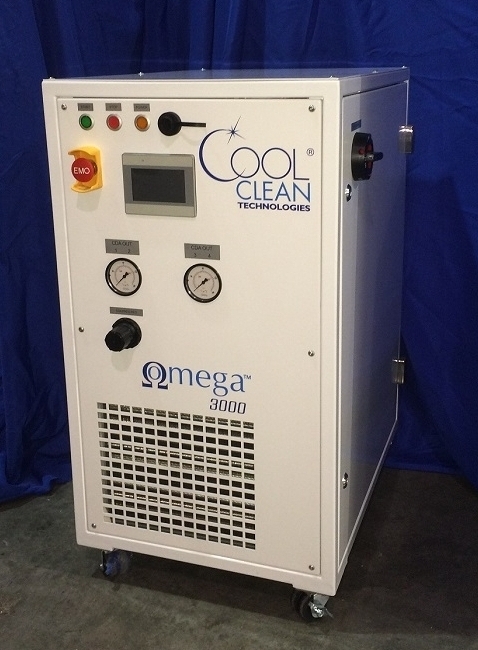 Automate your cleaning process using the Omega™ 3000 precision cleaning system from Cool Clean Technologies.